Location, Location, Location! In the Heart of Prescott. 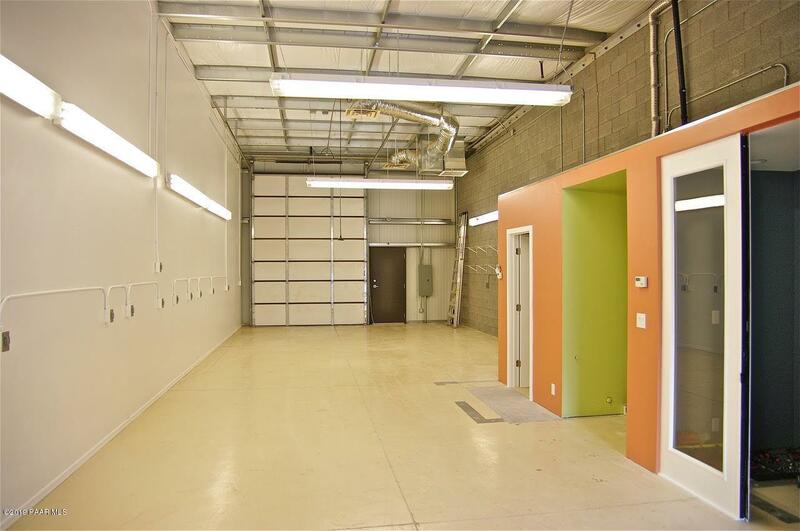 Gated business park, Light industrial 1100 SQ FT with 16' ceilings ( 55x20). Fully finished, full lighting, Air Conditioning and Heating with Bathroom Kitchen and office. The space can be two separate units. Full power 110V and 200V throughout. 2 electrical panels ,100 amp each. Two full roll up doors one at each end. 4 parking spaces included. 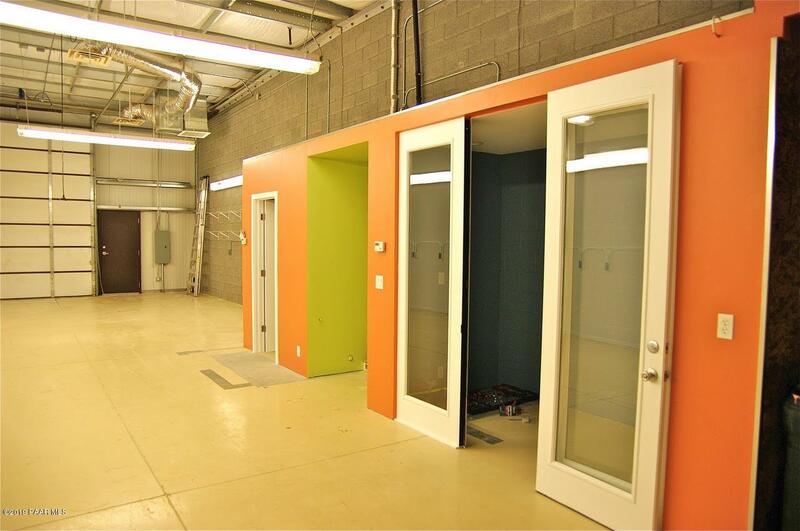 This is great Prescott downtown location, the first space you see when entering the business park. 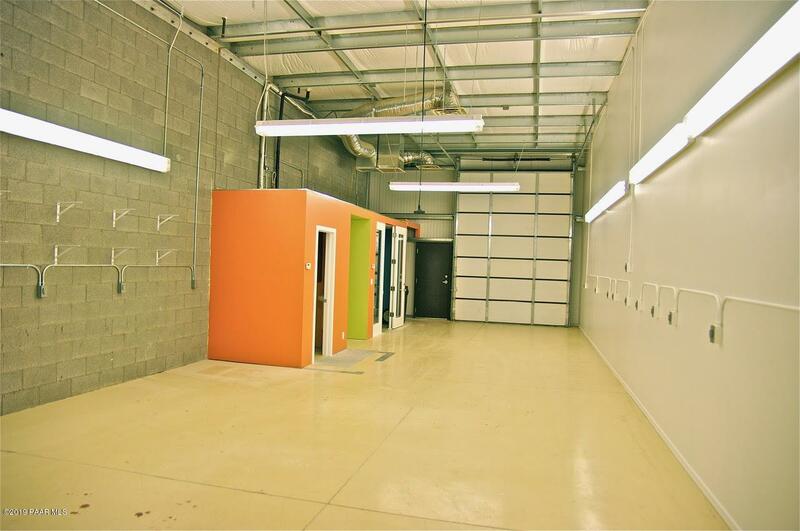 Great for small business, perfect Artist studio, or Car Collectors dream. Listing provided courtesy of Judy Sulltrop of Realty Executives Northern Arizona.